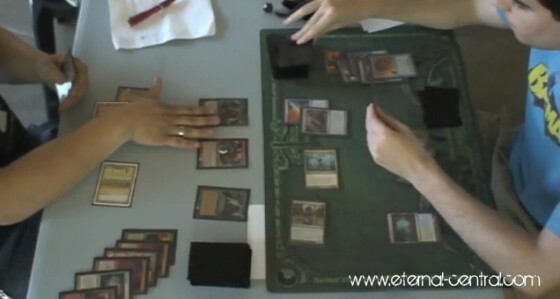 First game from the MTG BARATO Legacy semifinals between Hugo López (ProBant) and Antonio Romero (Zoo). We’ve seen Hugo defeating Goblins in quarterfinals without many difficulties. Will he be able to defeat Antonio’s zoo?